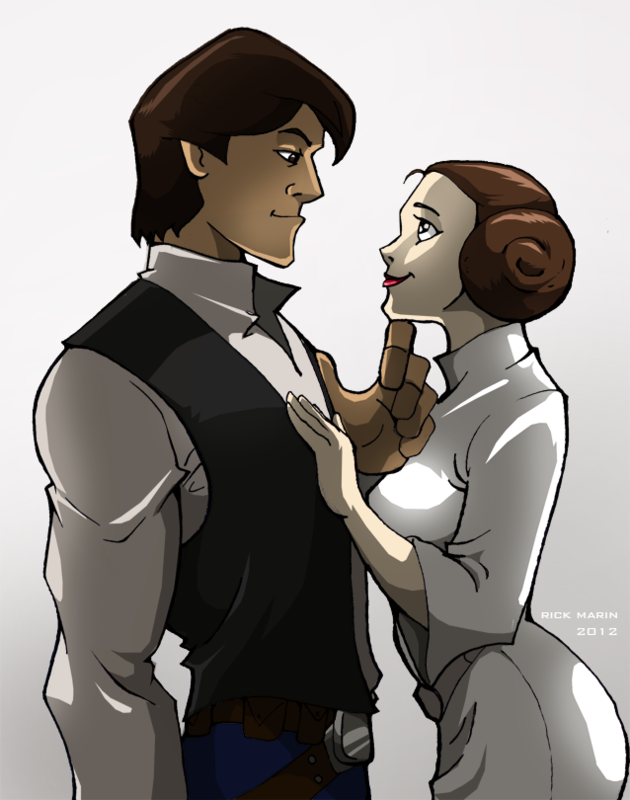 My favorite trilogy is about a smuggler who falls in love with a princess. The smuggler is a bit of a scoundrel (he killed someone in a bar fight just because he was greedy), he has the fastest ship there is and uses it to smuggle illicit goods. After losing some cargo he gets into trouble with the local mob family and makes a run for it taking on a couple of passengers. As they are getting away they are over taken and borded by one of the corrupt empire's flagships. They hide in the smugglers hold and eventually escape! During this escape they rescue a princess who is a bit snobby. At first the smuggler and the princess clash and hate each other. Over time though his roguish charm starts to win her heart, but her father is trying to kill the smuggler and his companions! Also the mob family is closing in on them. The smuggler gets captured by the mob family and the princess and her brother make a daring rescue! They kill the mod leader and escape but they are still on the run from the empire! While on the run with the help of her brother they end up overthrowing the evil empire, destroying their fortress and the smuggler and the princess live happily ever after! Haha that was good, will you continue to do more or was it just a one time thing. "Why did the colossus fall over? because he was imbalanced..."